Laura Cobb was born in Jackson, Tennessee but grew up in McLean, Virginia and Marietta, Georgia. After a lifelong love of the sciences, she graduated from Vanderbilt University with a degree in Biology. After college she spent four years at the Bowman Gray School of Medicine at Wake Forest University performing microbiology research during which time she became a published author of two scientific articles on pseudomonas aeruginosa and bordetella bronchiseptica. In 2006 Laura entered Wake Forest University School of Law and was granted the law Dean's Scholarship. While at Wake Forest, Laura excelled academically in all areas, but she particularly came to love litigation. She participated in almost every practical clinic offered, including the Litigation, Elder Law, and Innocence and Justice clinics. She also was selected to be a member of the National Trial and competed in regional competitions in 2008 and 2009. After graduation Laura returned to her home town to begin her law practice. While in Tennessee, Laura had a varied law practice which included estate litigation, personal injury, criminal defense, family, and appellate law. It was during this time that she argued her first case in front of a state Court of Appeals and successfully tried her first criminal case. After almost two years in Tennessee, Laura decided to return to North Carolina. 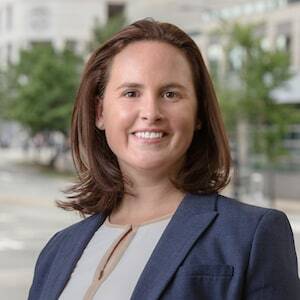 Since 2011 she has practiced primarily in the Charlotte region in the areas of criminal defense, appellate law, estate planning, family law, civil litigation, and bankruptcy. She has tried cases in District and Superior Courts in Mecklenburg County as well as the surrounding counties. She is also experienced practicing in the federal courts in both civil and criminal matters. Laura has written numerous appellate briefs and argued several times at the North Carolina Court of Appeals. In her spare time Laura enjoys outdoor activities such as backpacking and paddling as well as trivia, reading, travel, and taking care of her two dogs.